Part I examines emerging strategic technologies at the global level and through a lens that has been trained primarily on issues of geopolitics and geostrategy. Starting with information and communications technology (ICT) and moving on to energy, the environment, health care, biotechnology, genomics, nanotechnology, materials science and cognitive science, Part I has looked at emerging strategic technologies on what could be described as the macro or global level. In a sense, Part I has provided a bird’s eye view of technologies and their impact. Discussing the social and political movements being fuelled by ICT, the environmental benefits and dangers of nanotechnology and nano-particles, the possibility of improving food safety and security through biotechnology and genomics, and other potential implications of emerging strategic technologies, the first part of this book has approached technology from the perspective of states, societies, cultures and socio-economic groups. 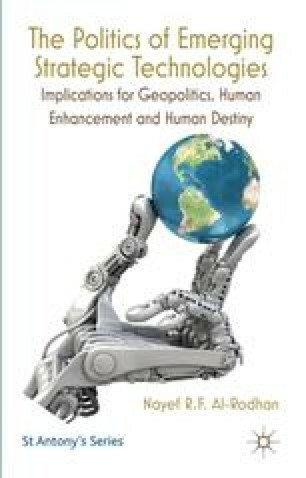 It has argued that in a globalized, interconnected world, technology pervades virtually every facet of life; moreover, its role in shaping global dynamics will only become deeper and more profound in the future.